Having trouble finding a larger family vehicle? The 2019 Kia Sedona and the 2019 Kia Sorento are two of Kia’s largest vehicles. If you are looking for a spacious vehicle, these are two vehicles that you might turn to. But knowing they are good for larger families is only part of the struggle to find a good family vehicles. You’ll also need to know how to they hold up against each other in terms of power, technology, and fuel efficiency? So, we are going to look at just that. For the purpose of this comparison, we will only be taking the specs and features of the lowest trims of these two vehicles. That means you’ll be seeing the specs and features of the 2019 Kia Sedona L, and the 2019 Kia Sorento L. Now that we’ve sorted out the specifics, let’s see how these two Kia vehicles differ from each other. 142 cu. ft. Max cargo space 73.0 cu. ft.
As you can see, the 2019 Kia Sedona offers quite a bit more power than the 2019 Kia Sorento. This power has a bit of a price to it, since the Sorento has better fuel efficiency, but if you are looking for a powerful vehicle, you’ll probably be more interested in the Sedona. When it comes to safety, it’s great to know that both of these vehicles have the Lower Anchors and Tethers for Children, also known as the LATCH system. So, these two vehicles are pretty much tied when it comes to safety. However, if you are looking for something spacious, then you’ll definitely want to go with the Sedona. With a whopping 142 cubic feet of maximum cargo space, the 2019 Sedona is ready to tackle any move and haul around plenty of gear. 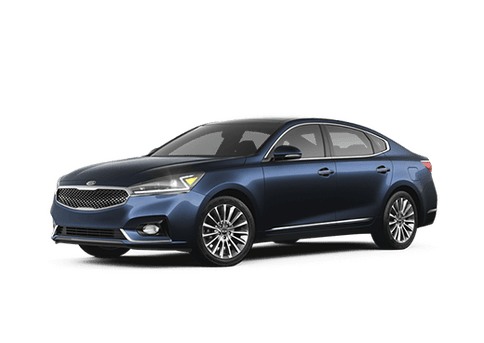 If you have any further questions about either of these vehicles, or another Kia vehicle, then feel free to contact us right here at Moritz Kia! We are always happy to tell you more about these great features and specs.